Eeeeeeep, I'm finally back online!!! 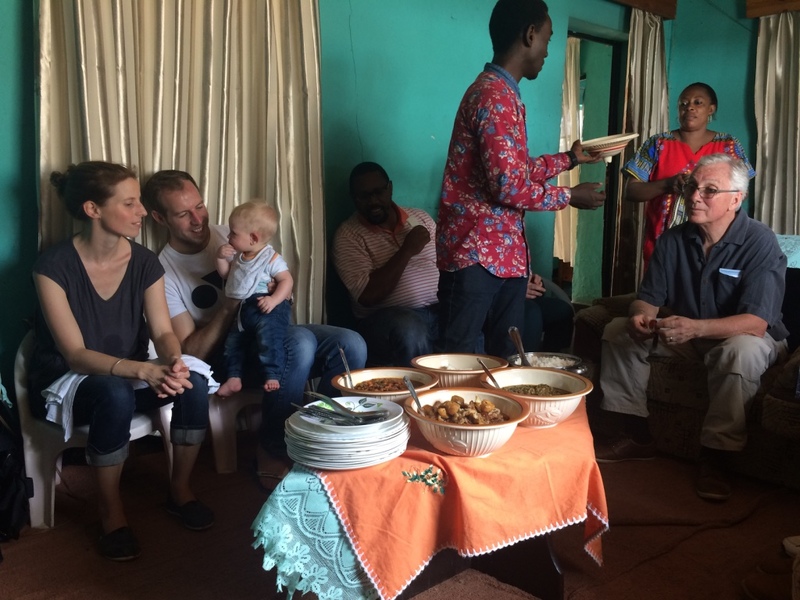 So sorry to anyone who may have been concerned that I was dead or missing, given I've been in a remote village in Uganda for 2 weeks without internet - and therefore, unable to post my blog. Or check messages. Or really do anything that involves any kind of technology. And for anyone who wasn't concerned - fine, be that way. So apologies for the (longest) gap ever in blog posts!! For the first few internet-less days, I completely panicked. But after awhile, you get used to it. And now I'm so far behind that I hope I remember enough to even do this blog post justice. This just means I'm allowed some leeway here. Anyhow, back to the regularly scheduled programming. 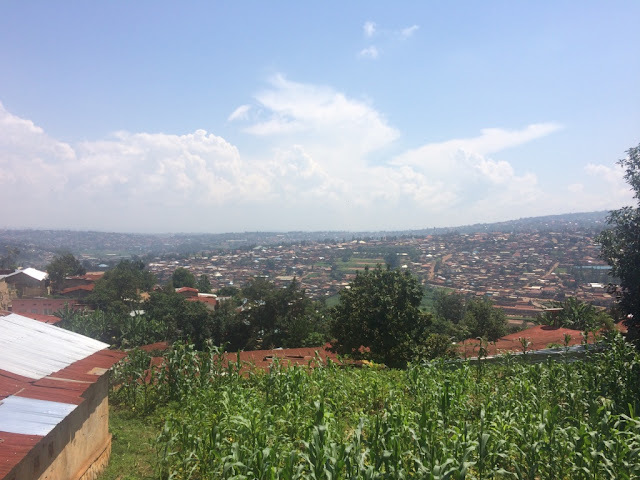 Before my two weeks in Uganda (no WiFi land), I spent a couple days in Kigali, Rwanda. J. Rich was with me for the first day, but then headed home from there (ending our safari adventures - wahhh) - whereas I had to putz around for three days waiting for an appointment at the U.S. Embassy in Kigali to add pages to my passport (which they're not doing anymore starting this year! PANIC). Therefore, I really got to take things slow and see the city on my own timeline, which was really nice to do. This means I woke up every day 5 minutes before the hostel breakfast ended and zipped around everywhere on motorbike taxis (NEW FAVE). 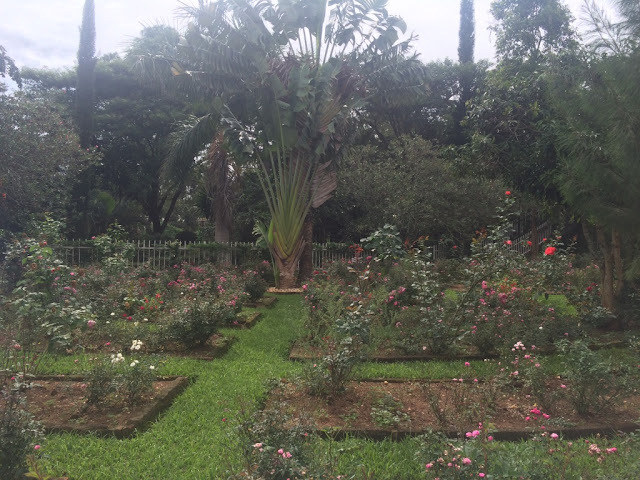 Kigali is the capital city of Rwanda, and it is absolutely stunning. 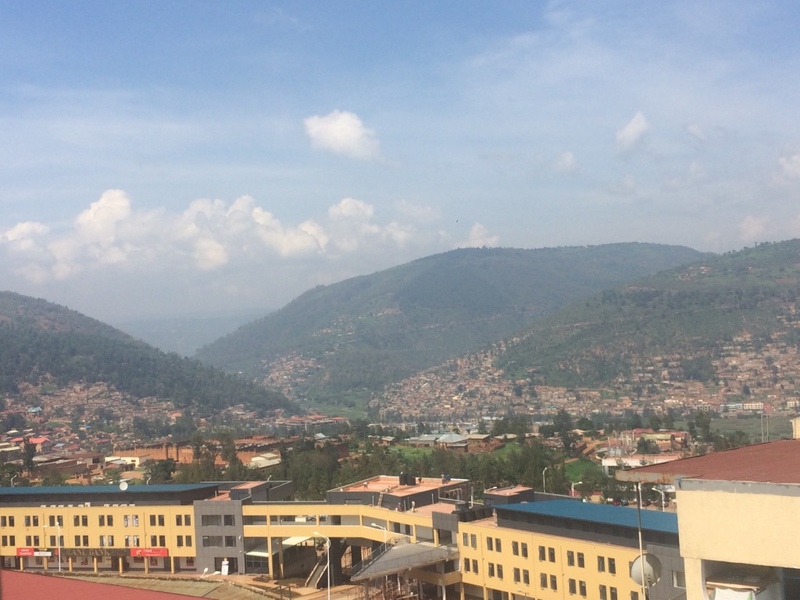 First off, the first thing you notice about Rwanda is that it doesn't feel like the rest of Africa (or it was definitely a change for us from Tanzania, anyway). 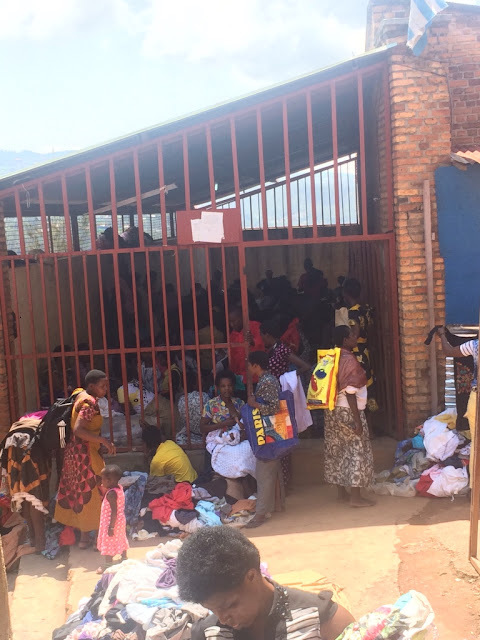 Kigali, especially, feels incredibly Western - you'll see the ladies in traditional dress, but you'll also see just as many in fashionable Western clothes. The infrastructure looks just like some cities in the U.S. - clean sidewalks, manicured gardens outside buildings, air-conditioned restaurants - and if you think I'm weird, these things are pretty rare in other parts of Africa. 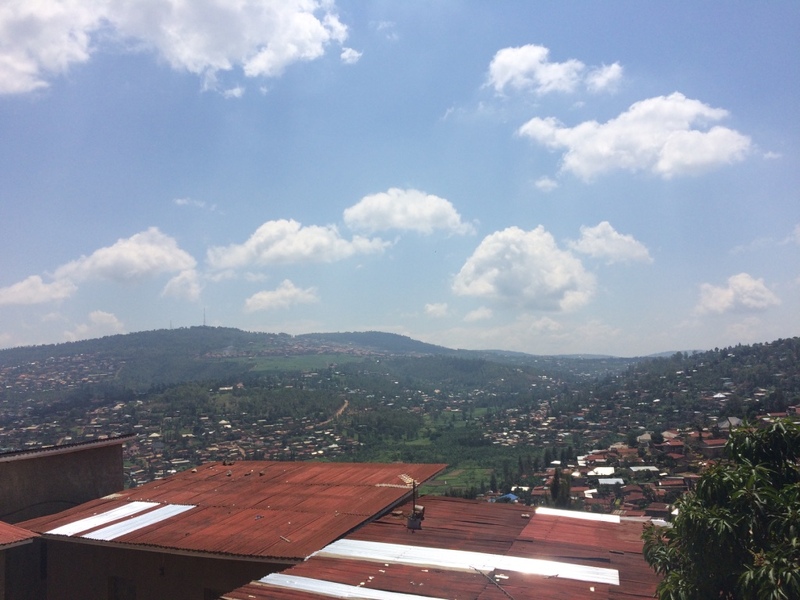 Kigali is located in the middle of a ton of rolling hills and valleys - which means there's basically a scenic view everywhere you look. Things here are also pretty expensive (for Africa), as most everything is imported. The people were incredibly nice as well. Rwanda surprised me - I really liked it, and it was nothing like I'd expected. J. Rich and I spent his last day getting our bearings in Kigali - we explored shopping centers and supermarkets, and took the afternoon to visit the Genocide Museum. And then the Rwandan Genocide Museum. Rwanda is another one of those countries whose name I heard a lot as a child, because bad things were happening here. None of which I could have explained before visiting this country, or before I visited Kigali's Genocide Museum. As the quickest cliffnotes summary I can provide: basically in the 90's, there was escalating tension between the two main ethnic groups in Rwanda - the Hutus and the Tutsis (though the division of these two groups was initially instigated by the Belgianss and Germans, but that's neither here nor there). The Hutus were the majority, but the Tutsis composed the majority of the ruling party. Until the mid-90s, when the Rwandan leading party began a propaganda war against the Tutsis - it climaxed one Spring night in 1994, when all the Hutus were basically instructed to kill all the Tutsis. The military locked down the country and started systematically executing all the Tutsis. Neighbors turned on neighbors, friends on friends, colleagues, families - the works. Tutsis fled to churches and community centers, believing they would be kept safe there - but instead, most of these places turned into locations of mass slaughter. Mass quantities of people were machete'd to death, including babies, children, and even Hutus that sympathized with the Tutsis. This went on for a couple of months and by the end, about a million people had been killed - almost 70% of all Tutsis, and 1/5 of Rwanda's total population. HOW CRAZY IS THAT. These things always blow my mind; especially the ones that happened so recently. It's crazy to think they can happen at all. Post J. Rich's departure, I spent the next day on a neighborhood walking tour of one of Kigali's most happening neighborhoods, called Nyamirambo. It used to be kind of sketch, but is now one of the fastest-growing, vibrant, and fastest-changing in the city. There are daily walking tours offered by the local women's center, who take you on a tour that lets you glimpse daily life for those who live here. First item of business - hiring a motorbike taxi!! These things are everywhere, are incredibly cheap (about $1 to get to most places in the city), and are super exhilarating on Kigali's super hill-y roads. And the driver always has an extra helmet for you! How cute is that. I'm obsessed with these. I think I took 5 of them in a day. First stop on the walking tour - the local library. 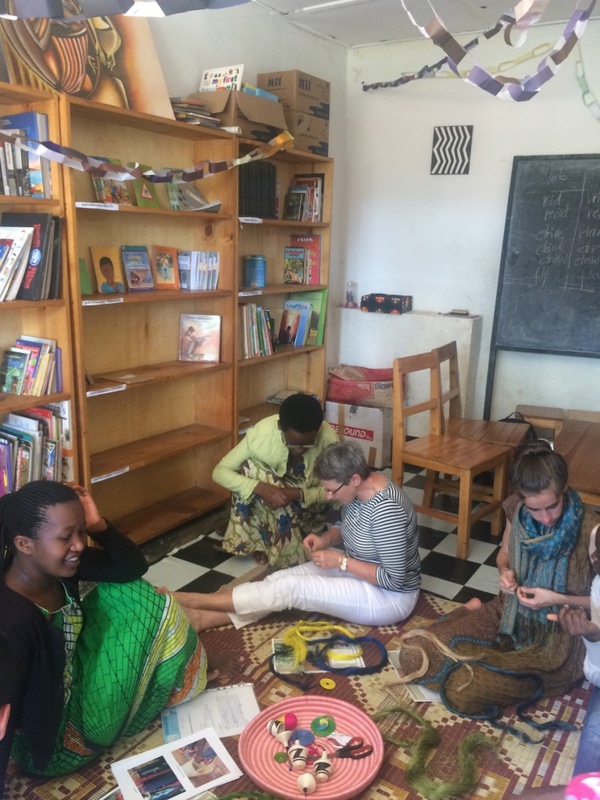 Which happened to also be hosting a weaving demonstration. 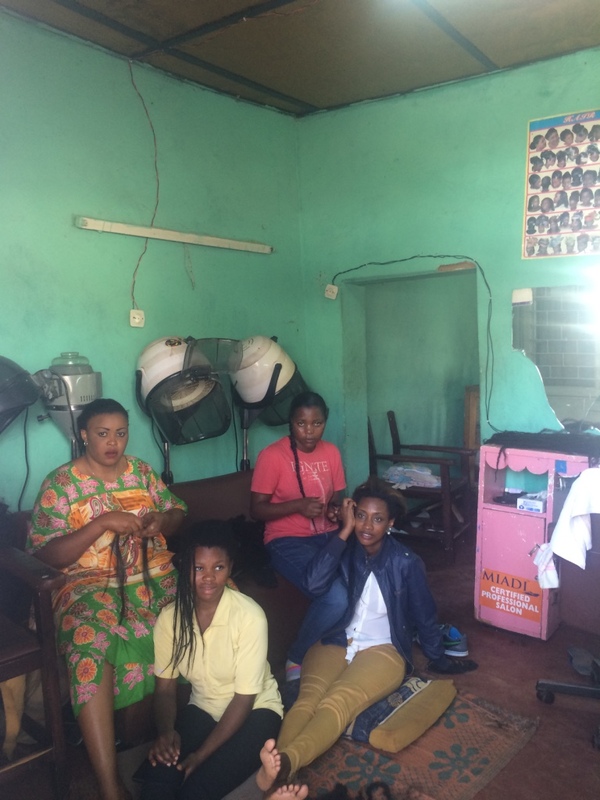 Then we visited a hair salon. There's zillions of styles to choose from. Zillions. 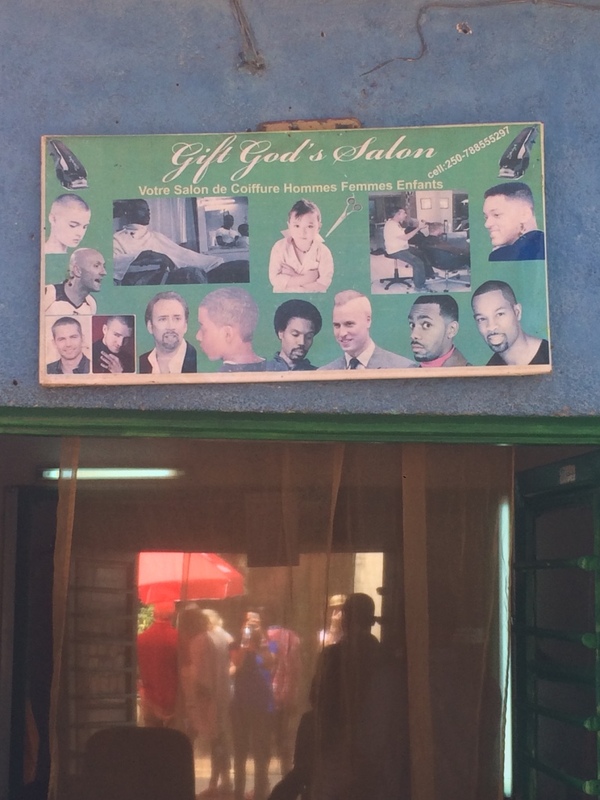 My favorite part of the men's barber shop was that you could choose to look like Prince William with a mohawk. Amazing. Photoshop skillz, y'all. And then our tour guide's cousin's tiny child saw him on the road and came over with his friends. They loved posing for photos. And some of them demanded gum. The outskirts of the local market. Secondhand clothing is a huge thing here. They literally have street auctions where men hold up an item of clothing and sell it at lightning speed to the crowd of onlookers. 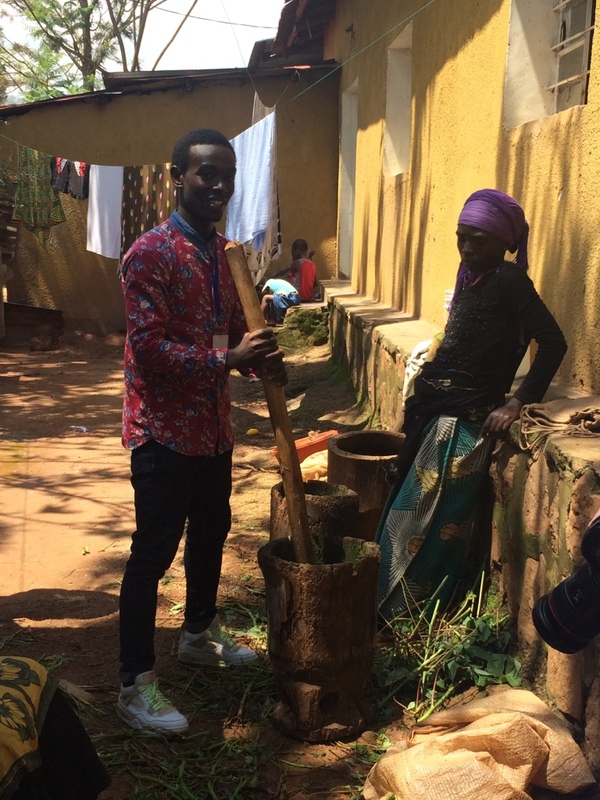 And then we watched a local woman beat cassava into a pulpy mess. I can't name any of these but they were all super, super delicious. 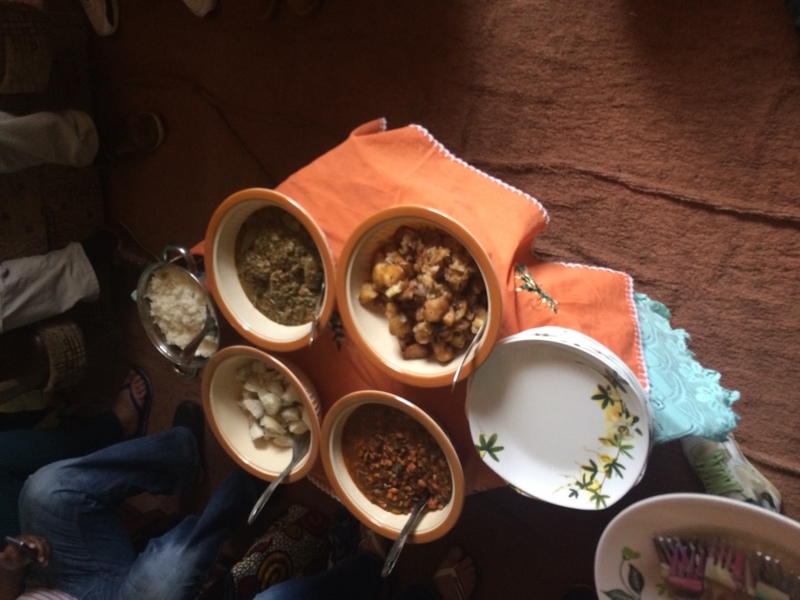 One of the dishes involved the previously-seen cassava plant being beaten into a mess. Two nominations today. The first - J. Rich and I were walking along the road one night when he accidentally snapped his flip-flop strap. A nearby man saw what had happened and pointed us to a nearby store, which he said had super glue. He actually walked into the store ahead of us and located the super glue, then him and another random man took J. Rich's flip-flop and performed surgery on it for him. They actually even took the time to wipe off the excess glue and make it look nice. After we thanked them profusely, both just walked off into the street and disappeared on their own ways - no expectation of any kind of recognition or tip or anything. It was the nicest thing ever. Second Moment of the Day - riding our first moto taxi in the evening - something about the wind whipping past you and going up and down Kigali's hills while seeing the twinkling lights of the city down below you - add on the fact that the ride only costs $1, and the entire moment is one of the most magical experiences ever. 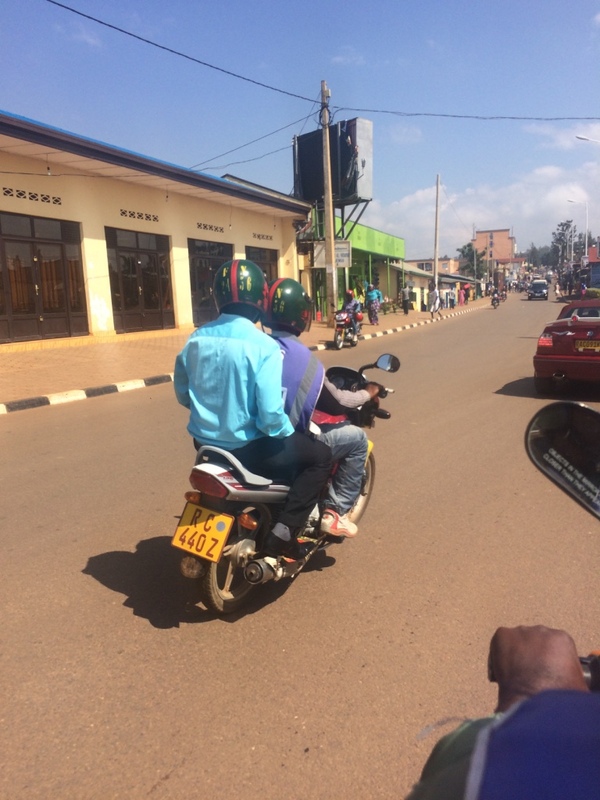 I would seriously pay just to ride a moto taxi around Kigali in circles - the fact that you get to actually get to a destination on top of the ride is totally above and beyond. The Rwandan government is super encouraging for young people to start businesses - this is because there were a ton of orphaned children after the genocide. These were children with no parents and a lack of guidance. Therefore, you see lots of young people today hustling their own businesses on the street - it's really, really great to see. The language spoken in Rwanda is called Kinyarwanda (very confusing, as I thought it was called "Kenya-Rwanda and was wondering why they speak Swahili in Kenya). We learned a couple phrases on our tour - and the craziest thing is, the literal translation for all the greetings are super-depressing. Like "Hello" means something like "So did you survive the night? ", so you're supposed to answer "Yes", or "Yego." And "see you later" means something like "hope you don't die before I see you again." Ok, I'm definitely paraphrasing for some of these but the point is, it's crazy. 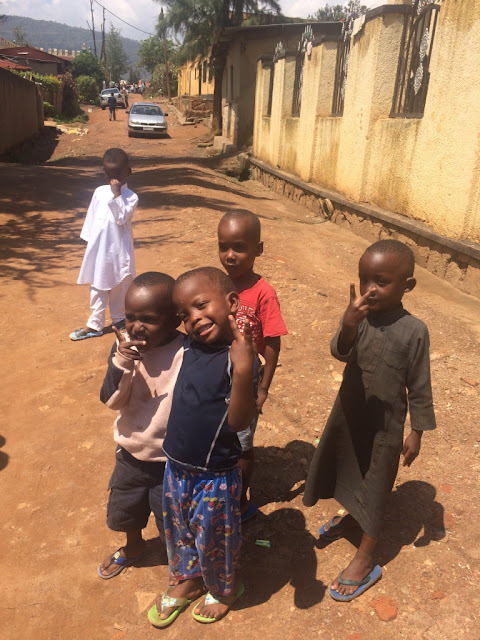 Next up, I head into the middle of nowhere in Uganda to volunteer with kids! 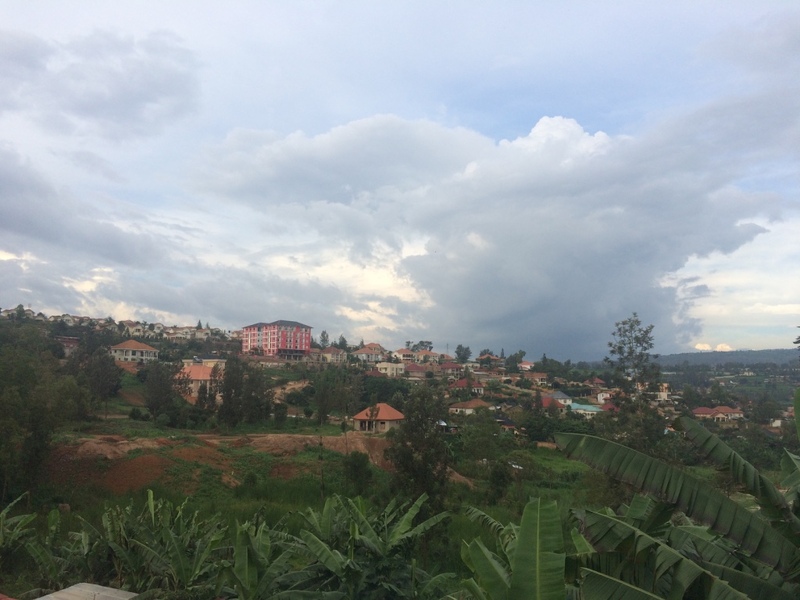 Bye, Kigali!